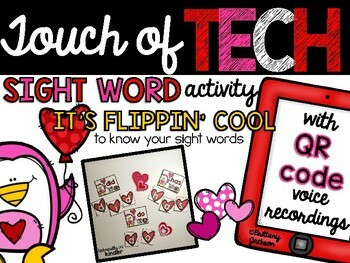 Add a “Touch of Tech” to your classroom using these It's Flippin' Cool to Know Your Sight Words Task Cards. 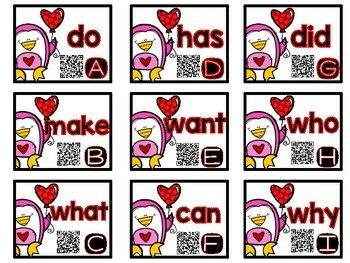 Each card has a QR code for students to self-correct by listening to a voice recording. The added QR code allows for students to independently work on these tasks while checking their thinking using the code. 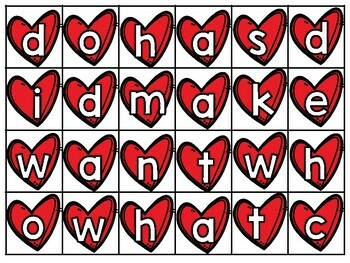 Prompt students to pick a card and create that word using the provided hearts. Allow students to scan the QR code using the scanner for revealing the voice recording of the word. Students will be engaged in independently practicing these frequently seen words in hopes to build fluency. Keep in mind you will need internet access. Your devices will also need a QR reader downloaded before students can engage in this activity. Be sure to follow me for more “Touch of Tech” ideas.